If you are interested you can watch the short video on my work gifted by my supporters. I left Japan 20 years ago to study and work. In Italy, I volunteered at the Casa Santa Chiara Foundation in Bologna, where I worked with disabled children and then after for the airline Alitalia . I married my husband, whose job involves a great deal of travel and relocation and as a result, have lived in many different places around the world..
Travelling and meeting new people is a theme of my life and I have now visited over 65 different counties, including: Tibet, India, Sri Lanka, China, Vietnam, Thailand, , Indonesia, Malaysia, Chile, Bolivia, Argentina, Russia, Canada, USA, Egypt, Portugal, Spain, France, Austria, Germany, Denmark, Belgium, Switzerland, Finland, Sweden, Norway, Turkey, Greece, Peru, and Ecuador. Living in so many different places and learning from the various cultures has shaped my life and helped to build my back bone. Wherever I have lived, I have fully immersed myself in the culture and observed and absorbed the different values, traditions, priorities, ideologies – in particular each culture’s views on birth and death. All of this, as well as being a mother of two myself(both at home in water), has led me to a deeper understanding of the meaning of femininity and of the Mother-Baby bond. I started my journey as a doula by first learning about the sacred experience of birth – and in time, teaching and sharing that wisdom. I learned about our inherent value as women and the connection to our sacred pelvic energy. When preparing women to become mothers, I help them to understand and embrace the cyclical nature of our bodies and of our feminine power – and how this knowledge will aid them in birth. Most women in my birth preparation classes seem very interested in the idea of listening to ‘the voice within their bodies’, which has often been left unheard. There are so many obstacles in our world today: stress from work, harmful toxins, contaminated environment, an increasing number of nuclear (as opposed to extended) families, a lack of connection to community, and later pregnancies (there are often more issues around fertility and pregnancy for older women). Because of this, many women are struggling with the various stages of reproduction, including the conception, the pregnancy, and the birth. Assisting them, throughout all of these stages, is the foundation of my work. I have a Masters degree in Medical Anthropology, from The University of Edinburgh, and have worked closely with many doctors, midwives, other doulas, and various alternative healers around the world. My Professor (a General Practitioner), taught me how important it is to be aware of the true meaning of health in our society. My methods aim to bridge the gap between current medical and scientific research and ancient spiritual wisdom. It was a real turning point for me when I first qualified as a doula. I became more and more involved in the birthing world and it felt like the right place for me to be. My mentors on the course, Adela Stockton and Nicola Goodall, were both wonderful teachers. I went on to complete Breastfeeding Support training throughout my doula qualification process and I am also a certified Birth Teacher (SBTA) after two years of schooling in Edinburgh from 2007. 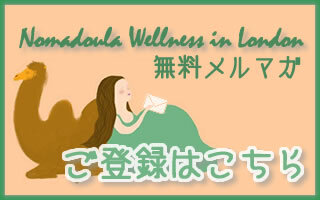 For the last three years(2013-2015) I had been writing a series of articles for a medical journal, which are entitled ‘Perinatal Care’: http://www.medica.co.jp/m/perinatalcare/. Now, living in London and registered as a recognized doula in the UK, I offer one-on-one and group sessions to assist mothers before conception, during pregnancy, and during birth. I’m also able to assist during the actual birth, either at home, at a birthing centre or at hospital. I am a member of AIMS, which is the Association for Improvements in the Maternity Services, and a member of a local Positive Birth Group. I feel that being a doula is my calling and that my work helping women is an ongoing personal journey. I am so excited to share what I know with women and to change our birth culture for the better.